Fun and flirty, the Isabelle for Prima bags is perfect for when you’re feeling playful and don’t want to take life too seriously. 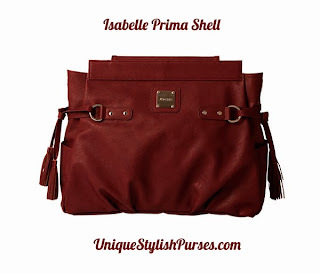 Gorgeous oxblood marbled faux leather goes with just about anything, but the true delight is in the details. Double tassels on the ends dance around pleated side pockets—and silver hardware details make Isabelle shine.